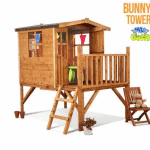 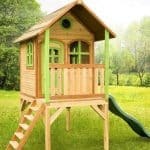 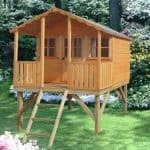 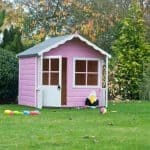 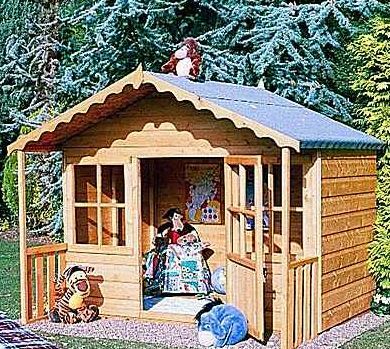 This wooden playhouse looks beautiful, and is sure to set off the imaginations of the young people in your life. 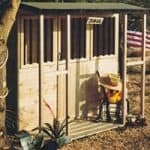 You get shiplap cladding on the exterior, which brings you an added assurance that the building will not suffer from any rot and damp, simply because it keeps rainwater from entering the building. 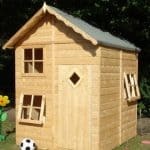 You can even buy optional window boxes, and the building comes with a free base coat treatment to bring even more protection to the timber in the construction.